That has such people int. Set in London in year 2540 this novel eagerly avaits developments in reproductive tech. and sleep learning that combine to change society. As for reproductive measures he didnt use DNA but only because its structure was not yet known. He used all of Georges Mendel work with inheritance patterns. Also breeding and artificial selection principles of Eugenic movement are used. There is no surprise that Eugenics is integral part of works of Aldous knowing some of his familly members were well known members of this movement. Huxley emphasizes conditioning over breeding, human embryos and fetuses are conditioned via a carefully designed regimen of chemical (hormones and toxins), thermal (exposure to intense heat or cold) also other environmental stimuli as ones future career would dictate. Alse there is an element of selective breeding as well. His future society is an embodiment of the ideals that form the basis of futurology. By some views his Brave New World is parody on utopian Orwells 1984, and by some it was relevant for stay in USA at that time where he could not bear all of New World differences. 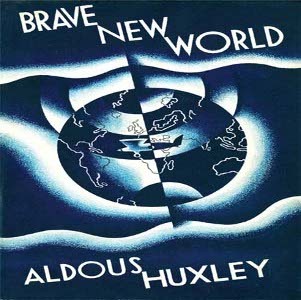 Aldous Huxley wrote essays Brave New World Revisited (1958) and with his final work, a novel titled Island (1962) to readress his views. silver surfer: "good reading, bad future... oh, wait it isnt future any more, it is now." anonymous: "bad indeed! good book, better review." Solve this complex math: 10 + 5 = ?